Canadian fires hung over the great midwest skies for weeks during the summer of 2015. The particles from the fire contributed to already amazing South Dakota sunsets. This sunset photo was taken from the top of Nicollet Tower, looking northwest towards the Coteau des Prairies. 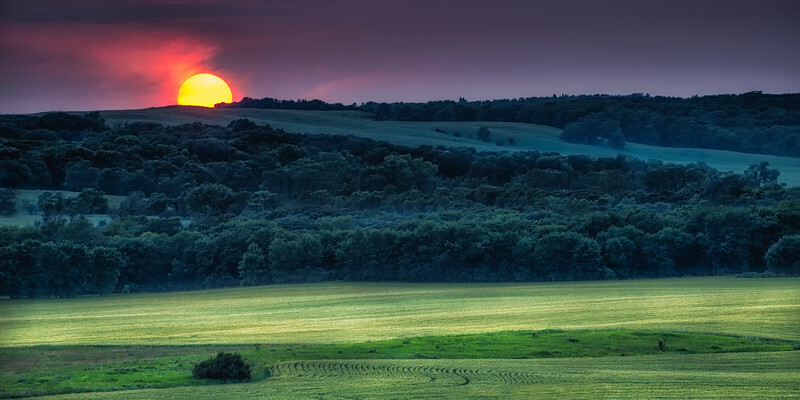 The brilliant sunset colors are a contrast to the dark forest green and the vibrant green fields.